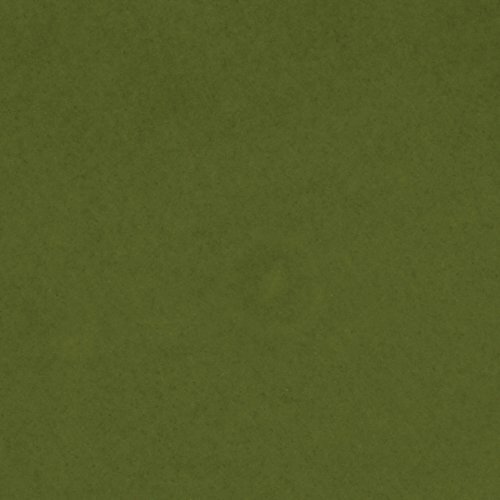 Product prices and availability are accurate as of 2019-04-06 15:07:30 UTC and are subject to change. Any price and availability information displayed on http://www.amazon.com/ at the time of purchase will apply to the purchase of this product. With the Paula Deen Signature Dinnerware Southern Pine Gravy Boat, sauces and gravies are served in style to make this year's celebration festive and extra special. 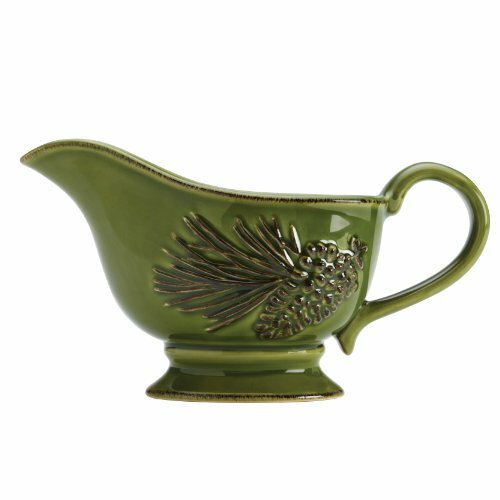 This durable embossed stoneware gravy boat features a raised pine cone pattern that adds holiday spirit to every table. Even better, the versatile design of this dinnerware makes it great for serving memorable meals year-round. Use this 20-ounce gravy boat to hold delicious giblet gravy for everyone's favorite roasted turkey. And it's the perfect choice for showcasing rich mushroom sauce to pour over seared rib-eye steaks at a casual get-together. For convenience, the stoneware is microwave safe, dishwasher safe and oven safe to 250DegreeF, so it's easy to keep decadent chocolate fudge sauce warm until it's time for dessert. 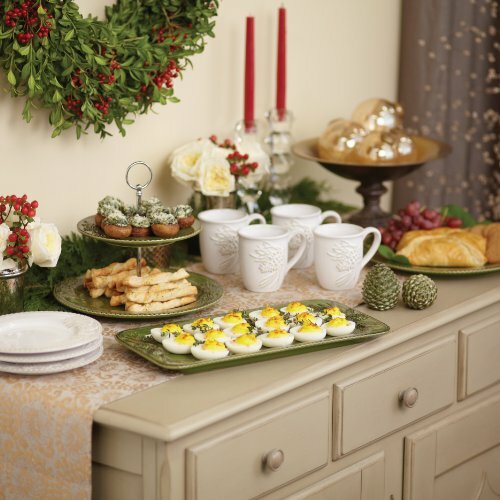 The vintage-inspired raised pattern coordinates well with many other pieces in this Paula Deen Dinnerware collection and is sure to bring a smile to everyone's face this holiday or any day of the year. Serve every sauce with Southern charm and elegant style using the Paula Deen Signature Dinnerware Southern Pine Gravy Boat.